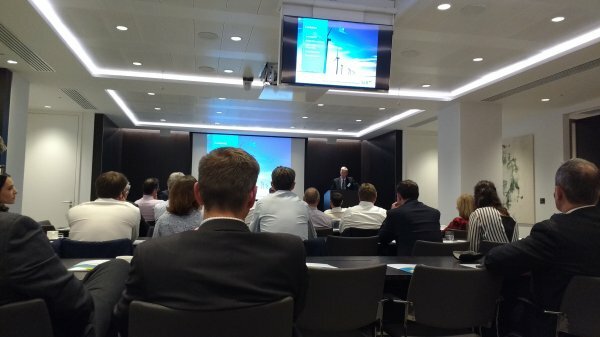 SLR organised and hosted, in association with Travers Smith, a seminar on Tuesday 15th November 2016, at the Travers Smith London office to discuss 'ESG - Looking Beyond Liabilities in Transactions'. An expert panel of speakers, representing Consultancy, Finance, Insurance and Legal, discussed the challenges faced by asset managers and investors when it comes to ESG. Alongside this they provided evidence of adaptation within the industry and talked about doing business in the current financial climate. The key note speaker, Simon Holland, Director, Legal, Strategy and Operations at 3i spoke about his experiences and 3i's ESG journey. Trevor Harraway (SLR), Doug Bryden (Travers Smith) and Matthew Hussey (AJ Gallagher) talked about maximising entry and exit strategies, developing opportunities and minimising threats. They went on to talk about effective due diligence practices within their industries and how due diligence has been evolving in recent years. The event attracted over 40 attendees from financial institutions, due diligence clients, law firms and asset managers.